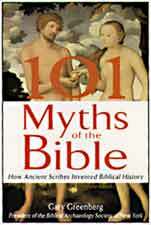 101 Myths of the Bible is my follow-up to The Moses Mystery. It examines many of the most famous stories in the Old Testament and shows how Israelite scribes often adapted, edited, or changed Egyptian, Mesopotamian, and Greek myths and legends, transforming them into biblical stories about Israel's history. Of especial interest may be the many early Egyptian influences that have been overlooked by both biblical scholars and Egyptologists. The book shows how many famous stories, such as that of David and Goliath or the handing down of the Ten Commandments from Moses to Israel, were based on false beliefs about events that never happened. On 2/5/01 101 Myths of the Bible ranked 1,105 on Amazon. "Books like 101 Myths strike at the heart of Christians who take the Bible as a literal, inspired word from God." - A pastor quoted in the Star Press. The Moses Mystery: the African Origins of Ancient Israel (Birch Lane Press, 1996) is Gary Greenberg's controversial challenge to traditional biblical scholarship about the origins of ancient Israel. In it he argues that the first Israelites were Egyptians who followed the teachings of the monotheistic pharaoh Akhenaton (1379-1364 BC) and that the Exodus resulted from a failed attempt to place Moses on the Egyptian throne in 1314 BC, when Pharaoh Horemheb died. The Bible Myth: the African Origins of Ancient Israel (Citadel Press 1998) is the subsequent paperback edition and contains some minor corrections that were omitted from the original edition. On August 15th, 2000 Barnes and Noble ranked The Bible Myth as its 28th best-selling book in the category of "Religion: History" out of over 1500 titles in that category. I am amazed at how you managed to figure out that there is a connection of the Genesis chronology to the Egyptian chronology. . . .And your breakdown of Genesis 15:13 with Exodus 13:40 was also impressive. And the match of the patriarch with the Egyptian myths was inspiring. T.G. Because this book is a "Print-On-Demand" publication it is not widely available. Each book is individually printed to order. Consequently, it may take several weeks before you receive your copy from the bookseller. Your patience, however, should be amply rewarded when you enjoy this very entertaining story. Laissez Faire Books usually has copies in stock and they may be the source for the fastetst delivery. To help you purchase a copy of this novel the War of the Werewolf web site has links to several booksellers who can fulfill your order. War of the Werewolf is one of the few novels recommended on Free Market Net. 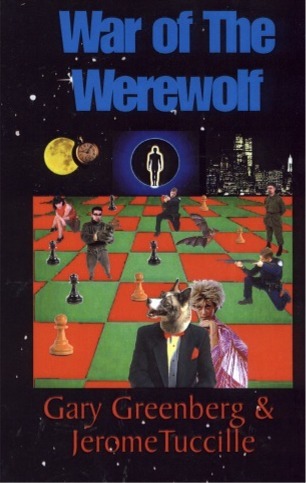 You can get more information about Greenberg's novel at the War of the Werewolf web site.